The Dragon Quest series certainly hasn’t slowed down, but it’s been quite a while since we’ve seen a proper entry in the series on a console. Dragon Quest VIII: Journey of the Cursed King for the PS2 was released in 2004, and though we’ve seen two numbered sequels, Dragon Quest IX was a handheld title and Dragon Quest X was an MMO. The long wait for a proper console sequel will soon come to an end, as we learned when Square Enix dropped a few bombshells at a Dragon Quest event today. The first was the official announcement of Dragon Quest XI: In Search of Departed Time. The second? Dragon Quest XI is one of the first two titles announced for the Nintendo NX, while the other is a port of Dragon Quest X. If you’ve been looking forward to another Dragon Quest game but aren’t sure about buying a game for a console you currently know nothing about, don’t worry. Dragon Quest XI will also be coming to the PlayStation 4 and Nintendo 3DS, Siliconera reports. Almost nothing about the Nintendo NX version of Dragon Quest XI is currently known, but there are plenty of details on the PS4 version of the game. At least on the PS4, the game will use Unreal Engine 4, and Saito Yosuke will serve as producer. The Nintendo 3DS version follows the same story and will be made by the same core team, but obviously looks different. The classic Dragon Quest elements are clearly in place, but there are a number of new elements as well. 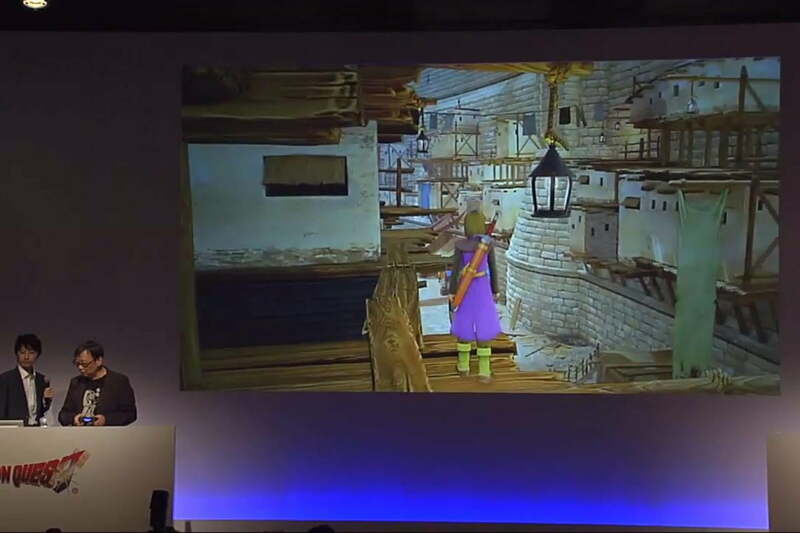 Dragon Quest XI will allow for more exploration of the terrain, including the ability to climb up to higher areas. No specific release dates have been given for any version, but Square Enix says it hopes to release the games close to the 30th anniversary of the Dragon Quest franchise, which points to spring 2016. Whether this includes the Nintendo NX version is currently unknown. For a closer look at Dragon Quest XI as well as a slew of other Dragon Quest games, see the video (which is in Japanese) below.